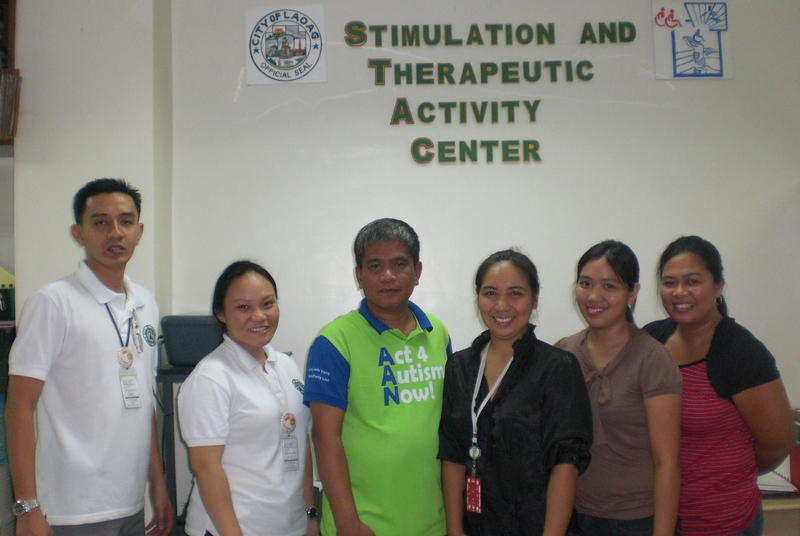 The Autism Society Philippines (ASP) has long planned to more efficiently reach families affected with autism in the northern part of Luzon, where programs and services for children with autism and their families are limited to physical therapy and special education tutorial sessions provided by the Stimulation and Therapeutic Activity Centers (STAC) with the funding support of the local government. This vision became a reality when ASP Executive Director Ranil Sorongon and his wife Teacher My Sorongon visited Laoag City last April. Mr. Sorongon gave a lecture on the United Nations Convention on the Right of the Child (UN CRC) that tackled the basic rights of children coupled with their responsibilities. He also gave an ASP Orientation including the steps and requisites to organize an ASP chapter. Teacher My gave a seminar on Understanding and Managing Autism which tackled the basic information on autism, the signs and symptoms of autism, the simple management strategies and the effects of autism in the family. The event -- attended by more than forty parents of children with disabilities, therapists, SPED teachers and students -- was organized by the STAC Laoag City team composed of Ms. Benett Tagama (a mother of a child with autism and current president of STAC Laoag City Parents Association), Ms. Marneli Sabas (social worker), Ms. Audrey Viloria (physical therapist) Mr. Kristoffer Raymund Molina (Head of STAC Laoag), with the support of the different STAC Centers in Ilocos Norte and the local government of the City of Laoag. ASP hopes that the activity will pave the way for the formal organization of ASP Ilocos Norte chapter. A group that will lead in the awareness campaign of autism, and will continuously advocate for the promotion of the rights and welfare of children with autism as well as those with other disabilities. ASP would like to thank the City Social Welfare and Development Office of Laoag City and the Laoag City General Hospital for providing the venue of the seminar.